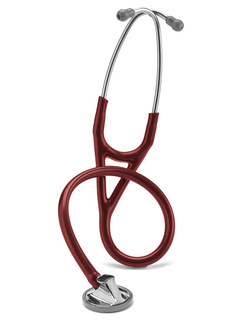 Features:The Master Cardiology provides the best acoustics Littmann stethoscopes offer. Solid stainless steel single sided chestpiece. Two tubes in one design reduces noise from two tubes rubbing together. Soft sealing eartips. Patented Littmann® special procedure adapter allows auscultation of difficult body parts, and pediatric or emaciated patients.